We’ve all heard the phrase “Nothing Lasts Forever.” This, of course, includes the good things as well as the bad. 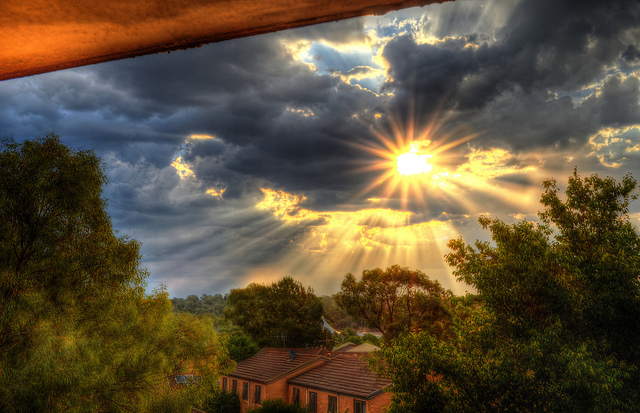 After each great storm the sun shines again, and then the clouds and storms return. Given these facts, how might we gain power from Heraclitus’ words of wisdom? Perhaps we can choose an optimistic frame of reference to both maximize and celebrate the good in life, and also minimize the times when life brings us down. How can you accentuate the positive and eliminate or at least minimize the negative, which will come to pass throughout your day? Consider making the exercise above a daily practice to support you in living an even more extraordinary life. This entry was posted in Attitude, Experience, Perspective and tagged attitude, Barry Demp, Demp Coaching, experience, intention, perception, perspective, The Quotable Coach, travel by Barry. Bookmark the permalink.